Main coarse, serves 4, approx. 40 min. 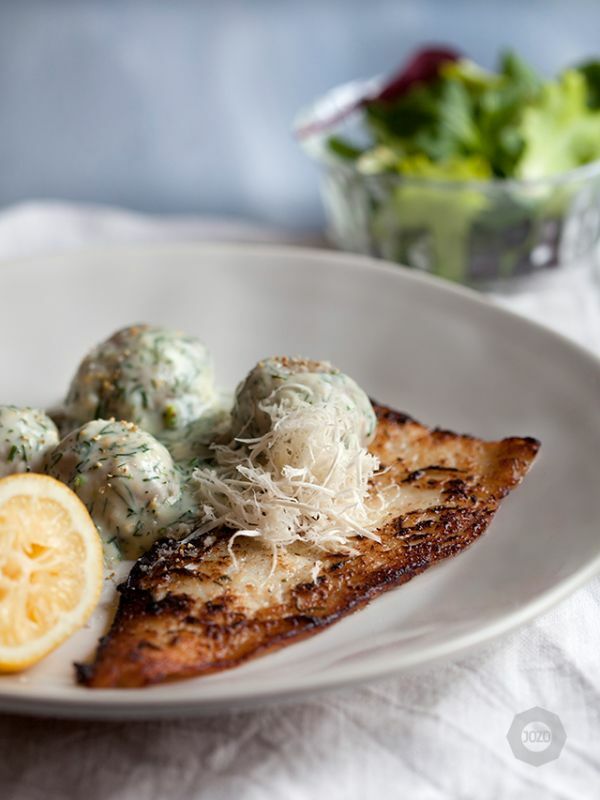 Quickly cured cod with horseradish, with dill and lemon stewed potatoes. 1. Put the cod fillets in an oven form. 2. Mix sugar, salt and finely sliced horseradish. Distribute the mixture over the cod, and put a weight on it. (E.g. a cutting board or plate with a milk package on top.) Leave to stand in the refrigerator for about 30 minutes. 3. Wash and peel the potatoes if necessary, and cook softly in plenty of salted water. 4. Melt the butter in a saucepan, sprinkle the flour in and stir properly. Add the milk little by little and stir thoroughly. Add the peel and juice from the lemon. Allow to boil while stirring. 5. Put the boiled potatoes in the saucepan with the dill, flake salt and white pepper. Wipe off some of the salt and sugar mixture from the cod fillets with household paper. 6. Heat a frying pan, pour oil in it and fry the cod on one side for about 2 minutes at very high heat. 7. Serve with the stewed potatoes, a little more finely sliced horseradish, with lemon slices and a vegetable salad next to it.